The MMDA and the DPWH are currently constructing what they term as lane separators along Commonwealth Avenue. These are concrete islands very similar in form to curbs, whose function is to delineate the outer lanes of Commonwealth. These will physically separate public utility vehicles from motorcycles and most private vehicles who generally use the middle and inner lanes. There are, however, early criticisms due to what is perceived as an increased risk for crashes due to the separators themselves. Some motorcycle groups have already expressed their apprehensions about the facilities that were supposed to protect them from aggressive PUVs. Meanwhile, one DPWH official was interviewed and proudly claimed the safety features of the separators including their being unmountable by large vehicles. From the height of the separators shown in the following photos, I am not so sure that these devices can stop trucks or buses, even jeepneys or cars from going over the other side. Separation device – the lane separators are basically barriers separating the 3 outermost lanes of Commonwealth from the rest. Of these 3 lanes, 2 are designated for public transport (yellow lanes) and one for private vehicles. 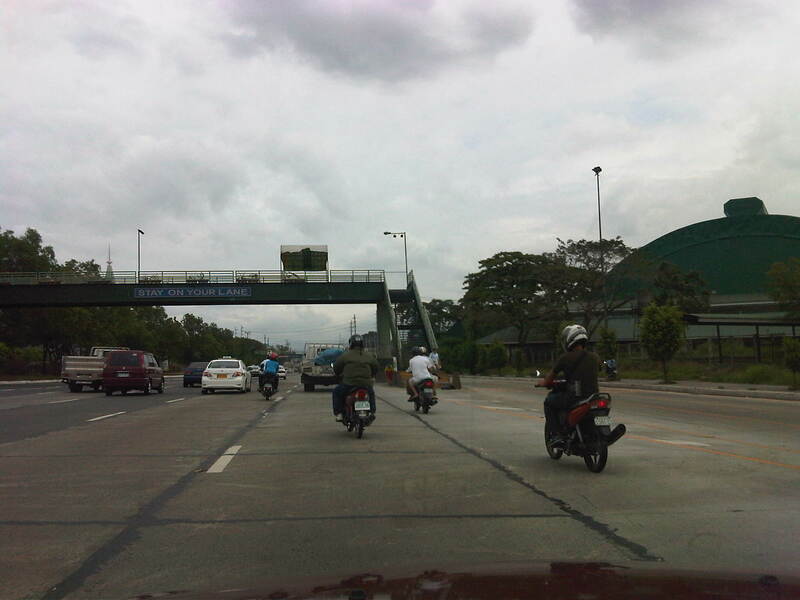 The lane immediately to the left of the separator is the motorcycle lane. Note the blue lane marking denoting the MC lane. Service road – the separators practically create a service road along Commonwealth where PUVs and some private vehicles will travel along. Drivers and riders who intend to make right turns should shift towards the inner lanes through one of the relatively narrow slots along the separator line. Small window of opportunity – vehicles turning from the University Avenue to Commonwealth must weave in traffic as many shift towards the nearest U-turn slot. The separators add another constraint to their movements. There is a similar narrow opening for vehicle turning towards the University Avenue from Philcoa but this can be quite tricky with the speeds of vehicles as well as the trajectories of those coming from the outer lanes of the mall to merge with the main flow along Commonwealth. 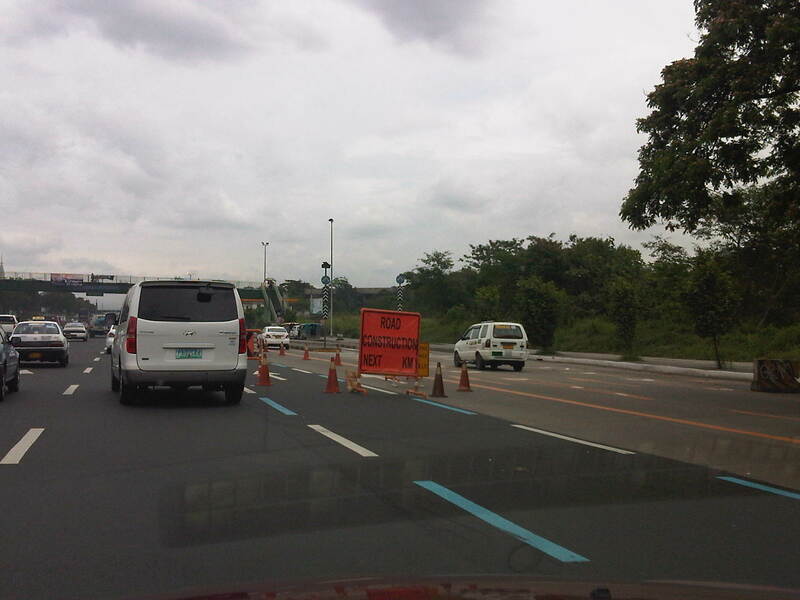 Under construction – tarpaulin sign and traffic cones mark the beginning of an area cordoned for the construction of the lane separators. 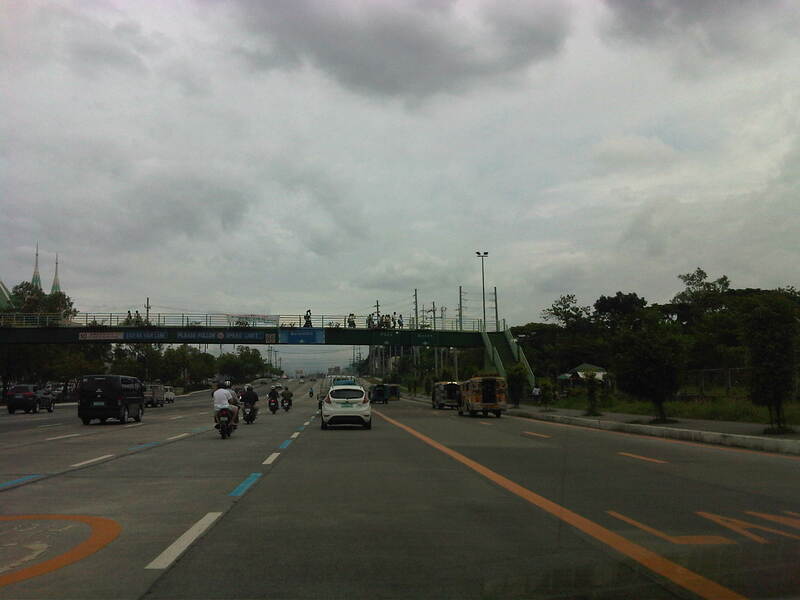 The separators are supposed to be built along both directions of Commonwealth and may stretch all the way to Fairview. 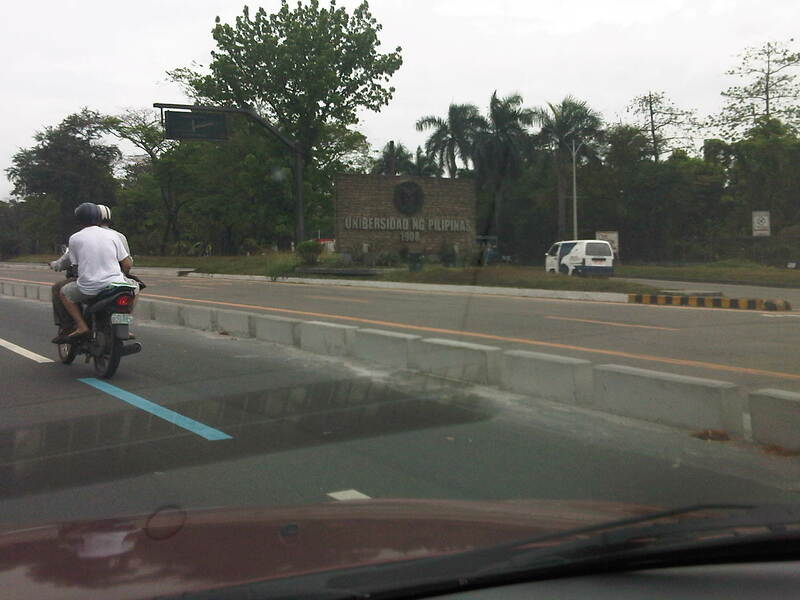 These should also aid traffic enforcers in apprehending PUVs traveling outside their designated lanes. 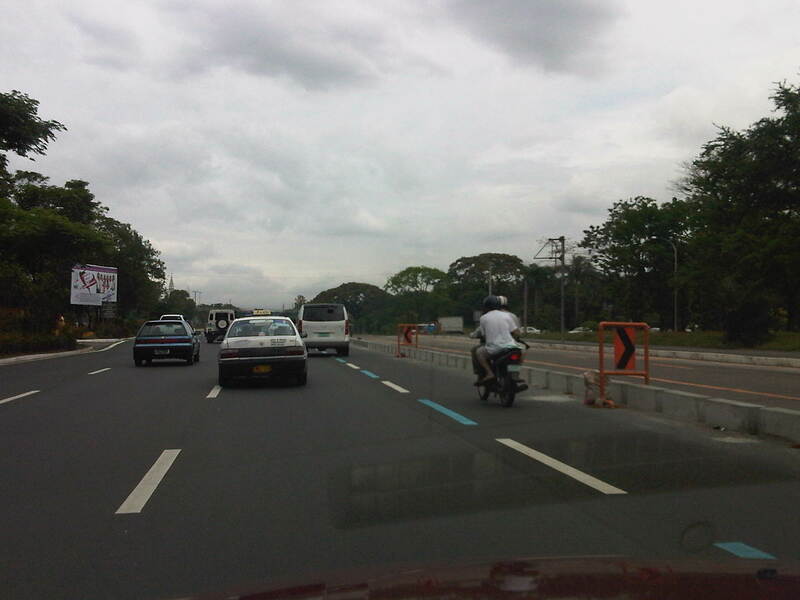 Temporary displacement – motorcycles use the another lane as the construction of the separators use up the space of the motorcycle lane. Riders have become accustomed to using the lane from the time they were first implemented along Commonwealth. Now you see it, now you don’t – the motorcycle lane along Commonwealth northbound leads into the stairs of a pedestrian overpass. 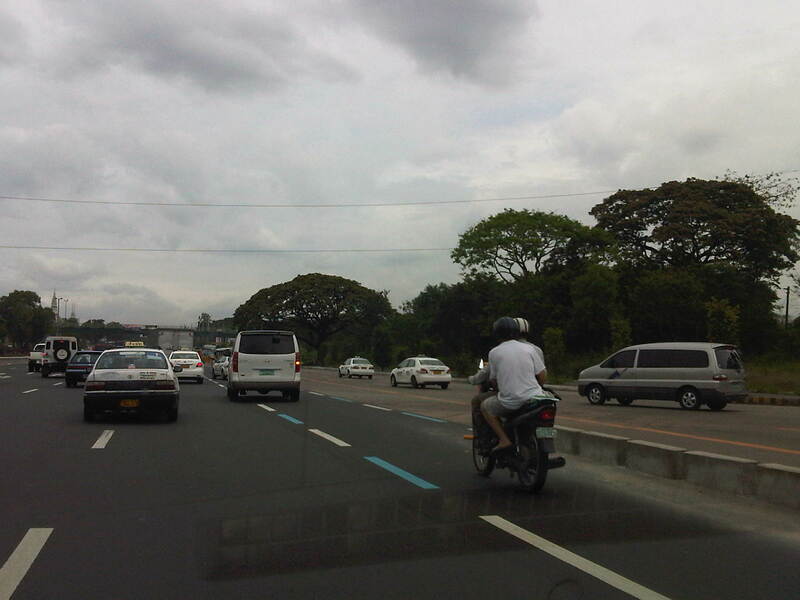 This necessitates motorcycles to shift towards the lane to their left. The rightmost lanes are for public transport. Respect and discipline – Motorcycles now typically use the lane designated for them and fewer vehicles encroach along these lanes for most part of Commonwealth where there are no weaving due to the U-turn slots. 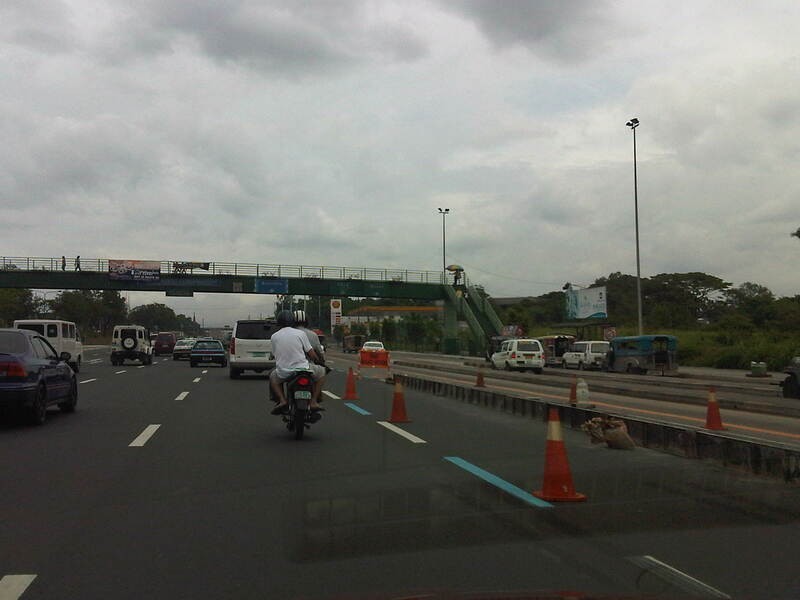 The separator will further lessen vehicle intrusions (and lane changing) as PUVs will be confined within the outer lanes courtesy of the separators. The jury will definitely be out for the concrete lane separators currently being constructed along Commonwealth. It is still early for a fair assessment but many motorists are already pointing out the separators as increasing the risks for crashes. Surely, the MMDA and the DPWH carefully thought this out before its implementation and have the best intentions in favor of road safety. However, even the best intentions can still result in unintended consequences. Hopefully, this is not another case of the latter. By d0ctrine in Highways and Streets, Policy, Road Safety on March 22, 2012 .